Walker Smith- New Album- Here is one song! Nirvana-22 years ago today- Where were you? The Rationales Need Your Help!!! 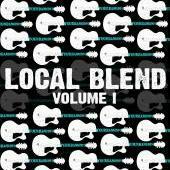 Local Blend Vol I, a compilation album. The album features various local solo artist and bands from around Concord NH. released September 8th 2014. This album represents a cross-section of the best talent around the Concord area and we are proud to be a part of bringing their sound to a larger audience. This album is being offered to everyone FOR FREE right here on Yourband.info starting on September 8th 2014. That’s right; free download and free streaming. Our goal is to have these excellent musicians exposed to as many people as possible. The album will always be free.